The 2011 Napa Valley Cabernet Sauvignons have turned out better than I expected. It was a challenging vintage, but the best wines will surprise readers for their aromatic intensity, finesse, balance and sense of place. Cold, fall damp mornings with heavy fog. Typical Napa Valley harvest weather, right? Not exactly. But that is 2011, one of the strangest growing seasons I have ever seen. Anywhere. The early mornings in St. Helena, where I was staying, looked more like Piedmont than California. On the mornings I ventured to Howell Mountain and Pritchard Hill, something bizarre and beautiful happened. No more fog, no more rain. And plenty of sunshine. Above the fog line, everything was different. That was the first lesson I learned in 2011: terroir matters. Yes, there are some well-draining valley floor sites that did well, but 2011 is a year where hillside vineyards are the stars. Most importantly, 2011 is a beautiful vintage through which to discover what makes Napa Valley’s best terroirs so compelling. I have always had a soft spot for the 2010 vintage in Napa Valley, ever since I tasted the wines from barrel in the fall of 2011. Last year I wrote that 2010 was an epic vintage. I still feel that way today. The 2010s I tasted this year are just starting to open up, and as that happens, there is an explosiveness in the fruit that is simply dazzling. Vintage 2011 will be remembered for many things, including heavy downpours in June that coincided with Auction Napa Valley and flowering and generally very cold and damp weather. At high-quality estates, the work started in the summer by dropping a significant amount of crop. The vines were constantly under disease pressure. During harvest weather was changing constantly. Producers with in-house vineyard management and/or the ability to change picks at the last minute had a huge advantage over everyone else. Precocious varieties, especially Merlot, escaped with minimal damage. Winemakers were not prepared for the onset of botrytis in Cabernet Sauvignon, something few of them had seen. Interestingly, the French winemakers I visited during the harvest were pretty relaxed. They had seen it all before. But American winemakers were truly freaking out. Once the fruit was in, the sorting was brutal, in some cases with more ending up in the trash than in the crusher. Readers who want to re-visit the vintage, can do so with these short videos shot at Blankiet, Kapcsandy, Morlet, Sloan Estate and Togni. 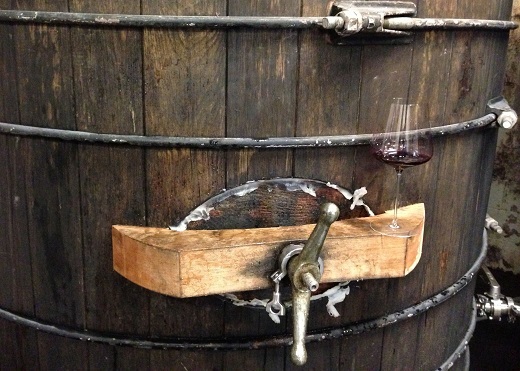 Winemakers used every tool they had at their disposal in 2011. Tannins additions were quite normal. A number of winemakers did more co-fermentations than usual in 2011 in order to give the wines more harmony and balance from the outset. Cold soaks were virtually non-existent given the delicate quality of the skins. In most cases, winemakers pursued gentler extractions with lower temperatures and less time on the skins, but some producers went the other way and fermented with high temperatures in order to extract as much as possible, a fascinating range of stylistic choices. Because of the fear of oxidation, rackings were generally reduced. Some producers did more lees stirring to try to fatten up the wines. In many cases the 2011s were bottled earlier than normal. Readers will note the higher than normal presence of Merlot and Petit Verdot in Cabernet Sauvignon-based wines, both used to beef up the blends. 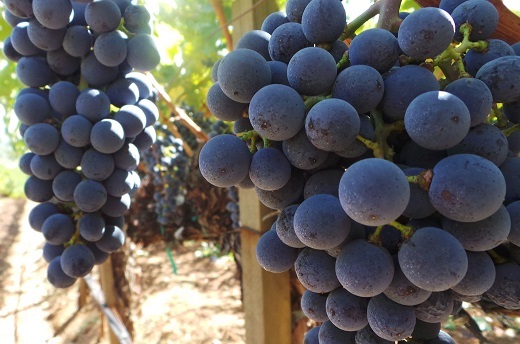 In general, Merlot is the most successful variety in 2011 because it ripened before the rains. At the end of the day, though, Napa Valley’s winemakers are pretty spoiled. In a global context 2011 can’t possibly be considered a poor vintage. Sure, the wines aren’t as opulent or generous as they usually are. The vintage was brutal to work through and even harder on bank accounts. Imagine a year where farming costs go through the roof and revenues come down sharply because yields are tiny. But what about the wines? The best are absolutely beautiful. Overall, the 2011s are about a percent lower in alcohol than is the norm. The wines are more savory and floral than readers are used to these days, with medium-bodied structures and generally less fat. I expect most 2011s to mature relatively early. Winemakers took basically one of two approaches. The first was to try to make the 2011s look like other vintages by fattening the wines up as much as possible with the techniques described above. The best wines made in that style are hugely successful. Other producers opted to let the mid-weight structure of the year come through a bit more naturally. Here, too, the best wines are beautiful. In short, there were no rights and wrongs; rather it is the quality of terroirs and the pure skill of winemakers that define the 2011 vintage. 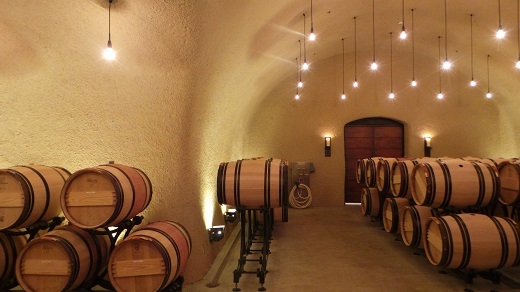 2012 Vintage: Living up to the Hype? Excitement was rampant in Napa Valley last year. I spent quite a bit of time last September looking at the vineyards just before the harvest, always the best time to see who has done what. Two things were clear; on average yields were high, but more than that, they were also incredibly variable from producer to producer, even within the same vineyard. It is easy to understand why yields were high. After two very short years in 2010 and 2011, growers wanted to recoup their losses. Some succumbed to temptation and simply left too much crop on the vines. It was an easy mistake to make given near perfect conditions in September and October that were punctuated by a brief spell or two of heat. Other growers were more diligent and cropped a bit more severely. Even so, the vines wanted to be productive. One of the results of the large crop was an unexpected shortage of tank capacity. With fruit needing to come off, smaller wineries found themselves scrambling to find tank space the last minute, which is obviously far from optimal. Given the wide range of crop loads throughout the valley it is hardly a surprise that the wines are also variable. Fermentations were longer than normal, in some cases much longer. I heard of stuck fermentations, lack of concentration, problems with lack of color and other technical issues of various degrees. Readers who want to learn more about 2012 might enjoy the videos I shot during the harvest at Blankiet, Colgin, Dana, Kapcsandy and Screaming Eagle along with a series of videos we shot at Abreu, Blankiet, Bryant, Dalla Valle, Kapcsandy, Larkmead, Outpost, Ovid, Shafer and Vine Hill Ranch. I tasted all of the 2012s in this article in three weeks between late September and mid-October, as is my custom. In the past, I have found this a good time to taste, but not this time. Because of the protracted alcoholic and malolactic fermentations, many wines were raw and unpolished. 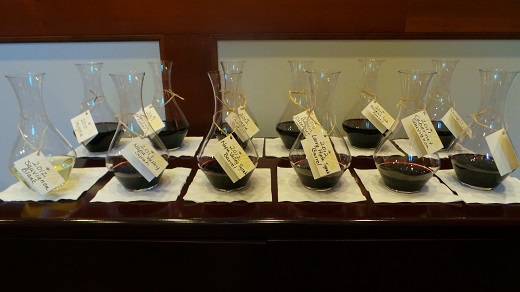 Many producers showed just preliminary blends, while others hadn’t even started working on their blends. Both 2010 and 2011 were easier to taste at this stage in the game, but the 2012s remain unpolished and in need of more time in barrel. We won’t know the quality of 2012 until the wines are in bottle, but I expect to see significant variation in quality. The reason it is harder to be more precise at this stage is because blending is such a critical component in determining the quality of wines. At the top estates, wines are shaping up to be beautiful, but they usually are. Those wines also represent a drop in the bucket. For now, the best approach to 2012 is cautious optimism. 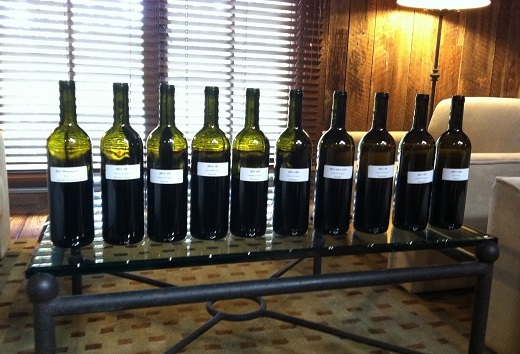 If there is a future Napa Valley vintage to get excited about, it is without question 2013. The season was characterized by drought-like conditions and warm weather throughout the year. Harvest was early, but then two small, unexpected rain events relaxed things into mid-October at a number of estates. Yields were lower than 2012, which was obvious and easy to observe just by spending time in the vineyards. The berry size was especially small in 2013. Most growers attributed the small berry size to warm weather and lack of rain in late May and early June, adding that irrigation compensated only to a small degree. Small berries mean high skin to juice ratios, which is generally favorable for intensity of flavor and structure. One of the unique attributes of the year is that even though the grapes were concentrated, the fruit retained gorgeous acidity and structure. 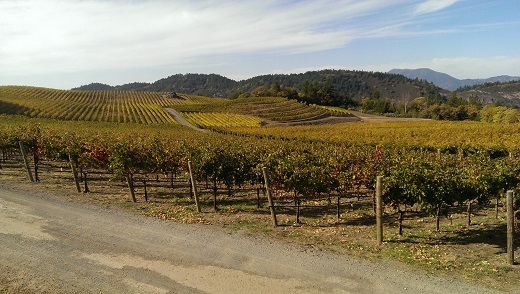 The 2013s I have tasted so far –including Mayacamas, Ovid, Vine Hill Ranch, Dalla Valle, Futo, Colgin and Bryant – are all impressive, even though it is clearly very early. The 2013s are deeply colored wines with superb depth and plenty of acidity to match. My first impression is that 2013 has the potential to be a more complex and interesting vintage than 2012. For more on 2013, readers might enjoy videos shot at Beaulieu Vineyard, Bevan, Colgin, Futo, Hourglass, Kapcsandy, Kongsgaard, Robert Mondavi, Montelena, Opus One, Ovid, Pahlmeyer, Joseph Phelps, Screaming Eagle, Spottswoode, and Turley earlier this fall. I have long believed that too much emphasis is placed on the perceived quality of vintages and less on the quality of producers. The vintage-centric view of wine originated in the early days of the fine wine trade, when good or great vintages were scarce, so knowing where to focus was critical. That is no longer the case. Climate change, the advent of weather forecasting and huge leaps in viticulture and winemaking mean that most vintages today are average or better, while truly disastrous vintages are, by comparison, rare. Think about it for a second. How many times have you had a wine from a great producer in an ‘off’ vintage and been positively surprised? Now ask yourself the inverse. How many times have you had a wine from an average producer in a great vintage that is elevated by the quality of the year? My guess is far less often. Yes, it’s true, a rising tide lifts all boats, but only so far. The trade will always place a great deal of emphasis on vintages because that is still how wine is bought and sold. Savvy consumers know better. Focusing on your favorite producers is a far better strategy for finding wines you like rather than following all the hype (or criticism) of the latest vintage on the market. This year I spent five and half weeks in Napa Valley. Tasting wines that were new to me (some of which have yet to be released) was the main purpose of my January trip. 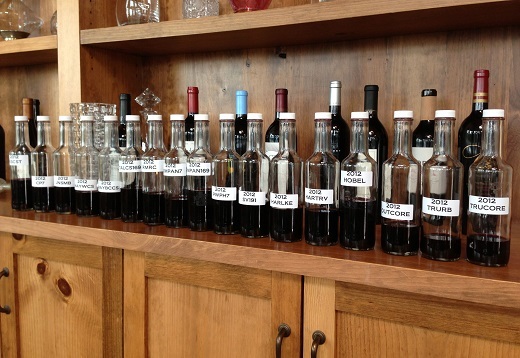 Tastings and visits in March and April were focused on the 2012s from barrel. I then spent a week in September and two weeks in October visiting properties, seeing vineyards and doing tastings of the 2010s, 2011s and 2012s. As an example of what that means in practical terms, consider the 2011 vintage. I spent 10 days in Napa Valley during the 2011 harvest and then tasted the reference point wines every six months until they were bottled, from block-by-block and single-component wines in spring 2012, to preliminary blends in fall 2012, to final blends in spring 2013 and lastly to bottled wines in fall 2013. For more, readers may want to take a look at this video, which covers my approach to Napa Valley, while a second clip takes a look at recent vintages. Four years in one of the world’s elite music schools taught me to appreciate quality above style. There are great, average and below-average musicians in all genres. The very same thing is true in wine. The paths to greatness are many. That is why readers will find high-scoring wines in all styles; from the super-classic to the ultra-opulent. From the very beginning I have sought to be as inclusive as possible. I have always made every effort to taste with as many winemakers as possible. I don’t play the favorites game. Some producers are charming, others are a bit pricklier, but at the end of the day the only thing I care about when assessing a wine is the quality of what is in the bottle. As Vinous increasingly moves towards streaming of reviews, videos and other content, readers should expect periodical updates and reviews that are published throughout the calendar year. We had far more material than anticipated for this article, so we will publish a smaller set of additional reviews next week.